We had the opportunity to join twenty-four other Interior Designers on this year's Showcase House. 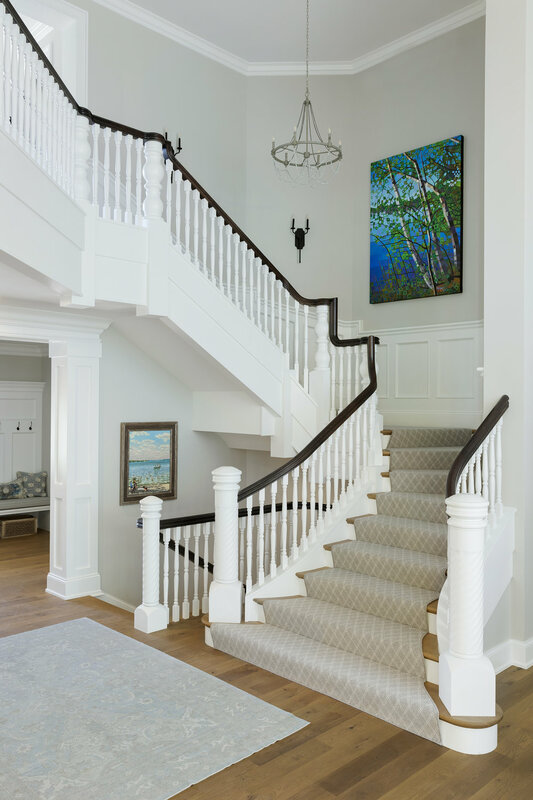 After a year in the making, Design by Lisa was able to unveil the Entry, Powder Room, Staircase and Upstairs Hallway. We love how fresh this Chateau Powder Bath turned out! This fall we had the opportunity to team up with Gracie's Room and Make-A-Wish to design Roman's Bedroom. Roman was born with a congenital heart defect called single ventricle pulmonary atresia. In August, at age 16, he received a heart transplant and was in the hospital for three months. When he returned home he was able to see his dream bedroom come to life for the first time. This fall we had the opportunity to team up with other local designers, Bridging, and the team from Design for a Difference to makover Bridging's FOUND IT! Estate Store in Bloomington, MN. The project was the brain child of Lucy Interior Design and Intersource and they brought together businesses and interior designers to transform the store and hosted a Reveal Party to show off the amazing results of the collaboration. To help create a more open feeling in the room we decided to use a floating cabinet rather than one that went to the floor. Removing the soffit above the vanity made the ceiling feel much higher and bringing the tile backsplash up to the ceiling also helped to create a feeling of height in the room and added interest on that wall. Using pendant lights was another way to add to the feeling of added height in the space. We are pleased to have our wine room remodel featured in the Star Tribune. Previously, this space was an unfinished storage space. Now, the homeowners have a room that is dedicated to their passion and hobby and connects with the living room located just off of the wine room.. This cozy library sitting area completes this mid-century home. 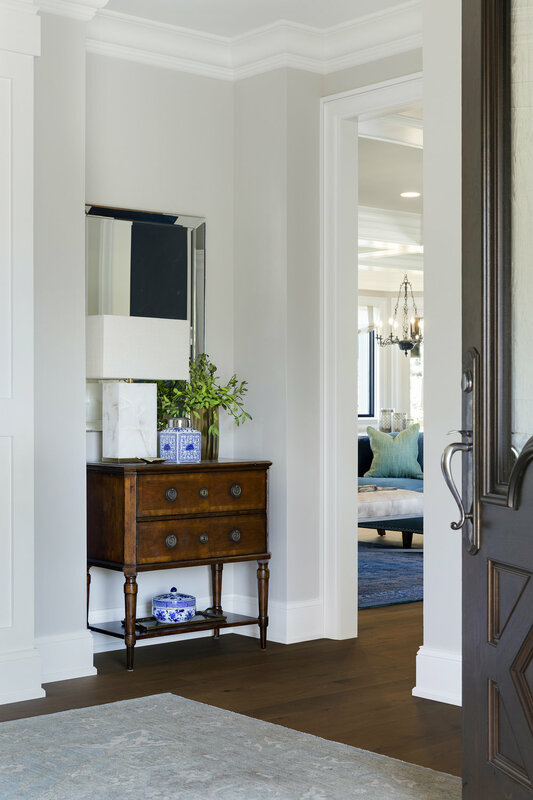 The male homeowner lives with three women, so we designed this room with him in mind. Not only is the sofa custom sized to stretch out, but the room also has a masculine feeling - somewhat "Mad Men". This mudroom had little storage and didn't accommodate the busy family's lifestyle. Listening to our client's needs we were able to customize the space to make it a major hub spot in the home. The customization includes: bench to put on and store shoes, adjustable hooks that will adapt as the children grow, charging dock for phones, a purse cubby and a shelf for cookbooks. Also, lets not forget the many cabinets above, where it is typical to have a lot of lost space.